The year was 1999. Billboard’s top song was “Believe” by Cher. 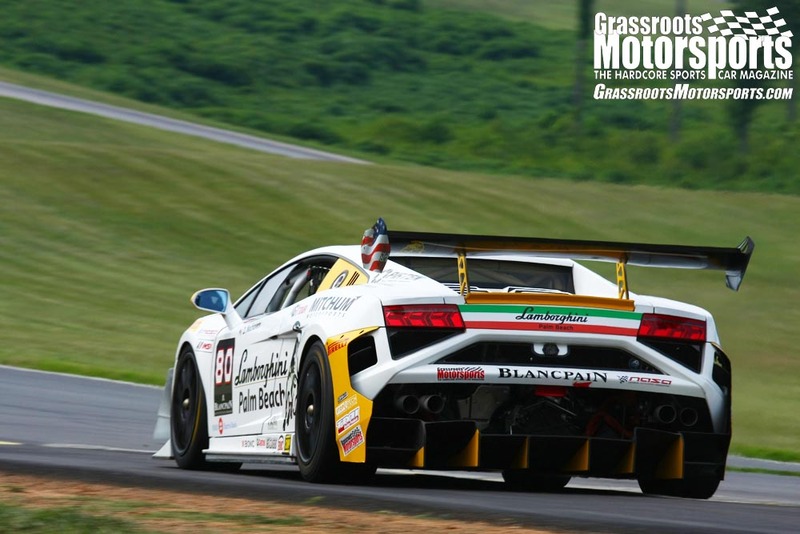 And a small sports car magazine, Grassroots Motorsports, had just celebrated its 15th anniversary. This would be a big year, as the publication’s first Challenge was on the horizon. Dubbed the GRM $1500 Challenge, the premise was simple: Prove to the world that you don’t need to be a millionaire to go racing. This was before the days of The 24 Hours of Lemons, ChampCar, or even most popular HPDE programs, and the most common complaint we heard in the grandstands was that it’s impossible to go racing without a ton of money. We started the Challenge to prove those people wrong. Point made, we retired the Challenge, but ongoing interest led us to bring it back for 2001, when we also raised the budget to coincide with the calendar. We’ve raised the budget by $1 for each running of this now annual event. The Challenge has evolved after 18 years. 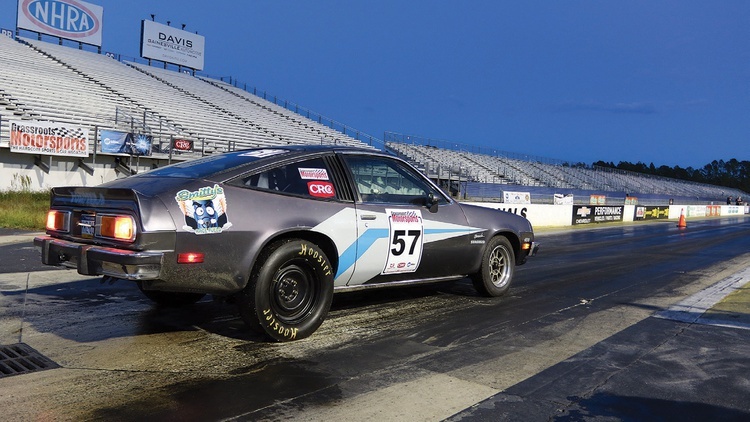 It can be argued that our event changed amateur racing, proved that a series like the 24 Hours of Lemons could be successful, and created numerous avenues for low-buck enthusiasts to race their cars. These other series have since moved away from budget caps, and found themselves increasingly constrained by growing rulebooks, while the Challenge has done the opposite: With budget as the only real limiting factor, teams remain free to do whatever they want–no matter how insane or inadvisable. Basically, the Challenge has morphed from the only low-buck racing venue to the only one offering true creative freedom. And, thanks to the state of the used car market over the past two decades, it’s also gotten a little more difficult. Back in 1999, the turbocharged Dodge Omni GLH and SVO Mustang were easy, inexpensive finds; the remaining ones now command a premium. Today’s classifieds are filled with newer cars–which are heavier and more complex. Also upping the difficulty factor is the reality that as a group, our Challengers have become better at extracting speed from the cars out there. This combination has created a predictable trend: wild engine swaps into unexpected chassis, with fabrication making up more of the Challenge skill set every year. If a new bushing costs $100, but a suitable replacement can be built using an $800 machine and just $10 in raw material, the latter is what you’ll see at the event because Challenge rules say it’s better to buy the tools and do it yourself. This phenomenon has basically created a low-buck Can-Am series, with insane cars trying every trick in (and out of) the book. The move away from door-slamming daily drivers has attracted a new type of competitor, too, with entrants like Andrew Nelson, Ed Malle and Joe Burchett representing a tight-knit community of wild fabricators. 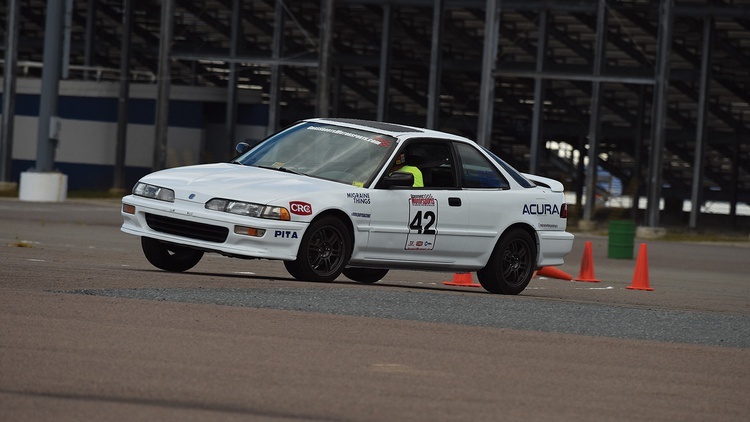 The Challenge is no longer just a place to air out a cheap autocross car and prove that racing doesn’t have to be expensive. It’s an end unto itself, an exercise in automotive insanity that justifies the years of work on a car. We have the internet to thank for much of that–it’s united the participants and the parts supply, spotlighting deals and showcasing projects for the world to see. What’s all this mean in the paddock? It means there are some amazing, unexpected, downright fast machines in attendance. It also means community, with many competitors coming every year whether they have a car or not. Attendees are also there to help each other, whether it’s through encouragement, shared tech tips, or a helping hand in the paddock. Among the bespoke creations, the $2017 Challenge still hosted a ton of street cars. It’s no fun if every entrant takes things too seriously, so we were happy to see lots of daily drivers competing more for smiles than for trophies. The parking lot of the Best Western Gateway Grand in Gainesville doesn’t sound super exciting, but it’s the setting for a Challenge tradition. Starting Thursday morning, competitors move into the host hotel’s parking lot with their cars, coolers and grills. Some drink and socialize. Some finish up last-minute touches on their builds. Some repair whatever broke on the drive in. Others, like Jeremy Randolph and his team of volunteers from the grassrootsmotorsports.com forum, start their project here. Jeremy is the foreman of the annual parking lot build, which is exactly what it sounds like: Get a car, drag it to the hotel parking lot, and try to complete it before the track goes hot on Friday morning. 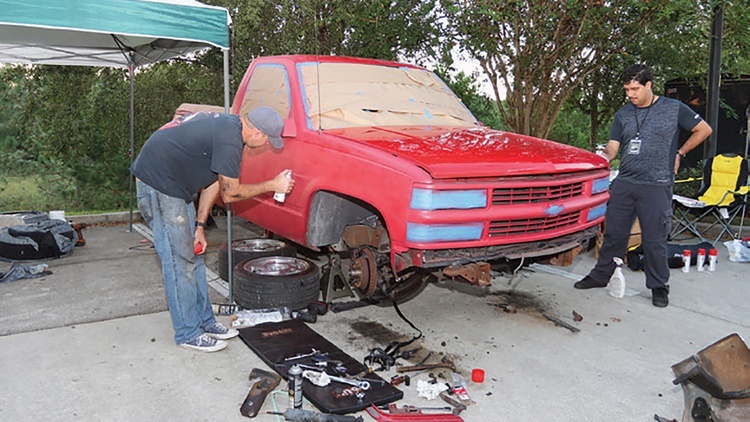 The $2017 Challenge lot build was a 1995 Chevrolet C1500. Why the pickup truck? Thank another community tradition, the special class, for that one. Each year our competitors choose a vehicle type that they believe deserves its own special class. Past honorees have included luxury sedans and minivans, with the 2017 special class focused on the humble pickup 2018’s special class is station wagons. 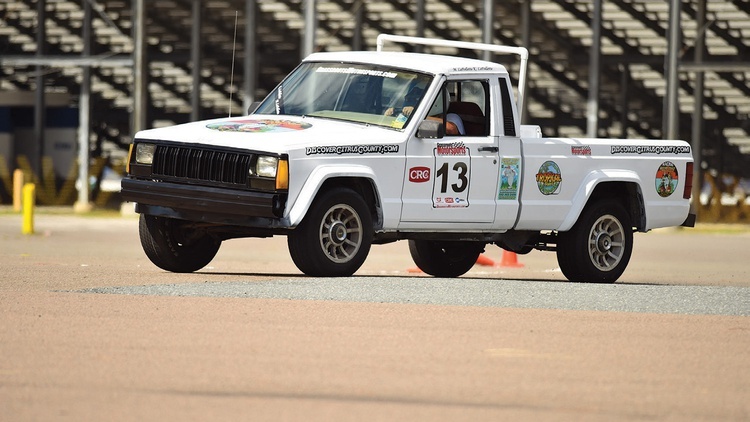 The event opened on Friday morning, October 20 with the autocross competition. 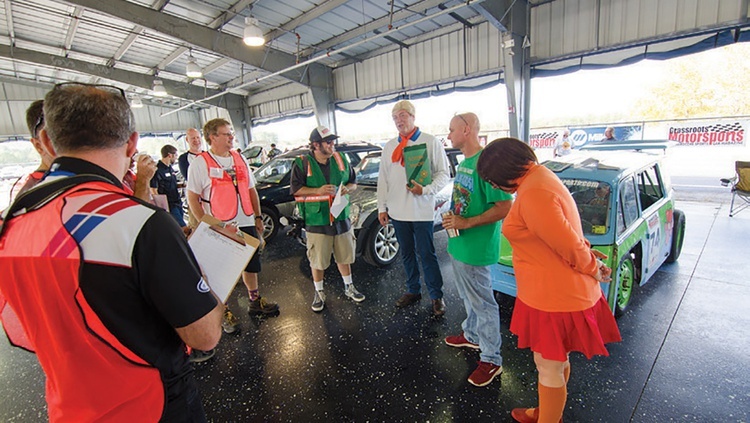 Since this is a builder’s event, not a driving exercise, Challenge rules permit teams to use furnished “pro” drivers as pinch hitters on the autocross course. These drivers are experienced champions who are somehow able to jump into a bewildering array of machinery and be fast around the cones. The latest roster, which represents too many national Solo titles to count, featured hotshoes Dan Shields, Steven Duckworth, John Thomas, Alan McCrispin and Rob Lewis. Each car is allowed up to six runs, with up to four of them driven by a pro driver. On that autocross course, we watched a miracle unfold. Georgia Tech’s Wreck Racing is known for their ambition, but some big failures, too. Despite some seriously cool ideas–like a turbocharged, 2JZ-powered MG Midget–they’ve rarely managed to keep their vehicle together for the duration of the event. Their latest car, a Subaru EG33-swapped Honda Insight, had been no different. 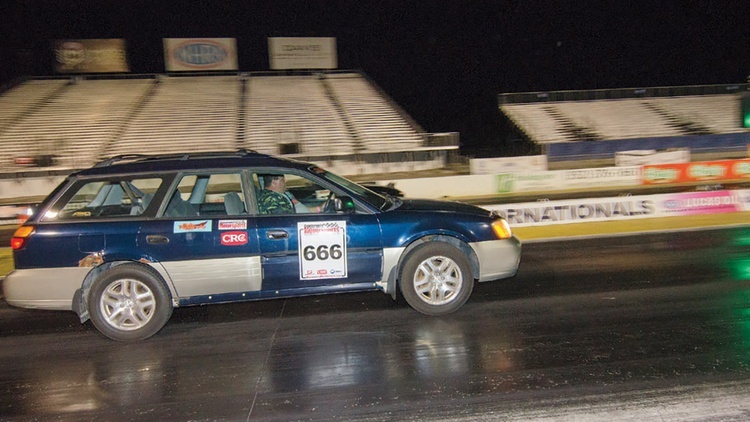 Bad mechanical failures plagued the team during the Subaru’s past two Challenge appearances, but this time they managed to bottle lightning. 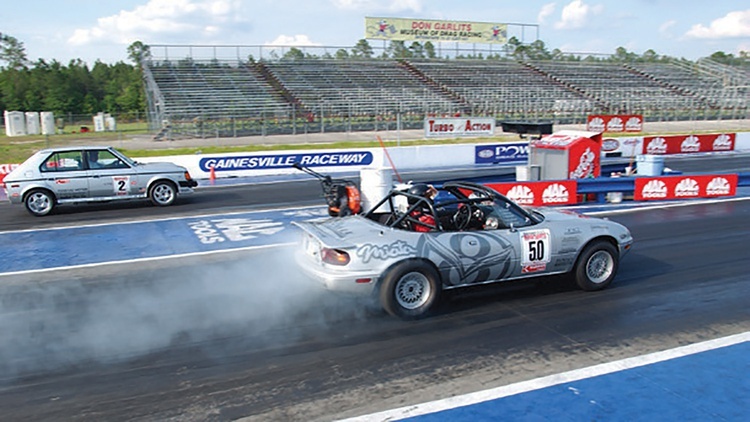 A clean 35.605-second run landed them at the top of podium by more than a second, handily besting Dark Matter Racing’s LS-swapped Mustang and Dead Skunk Motorsports’ Miata, which tied for second place. How fast are these times compared to a car you’d see on the road? 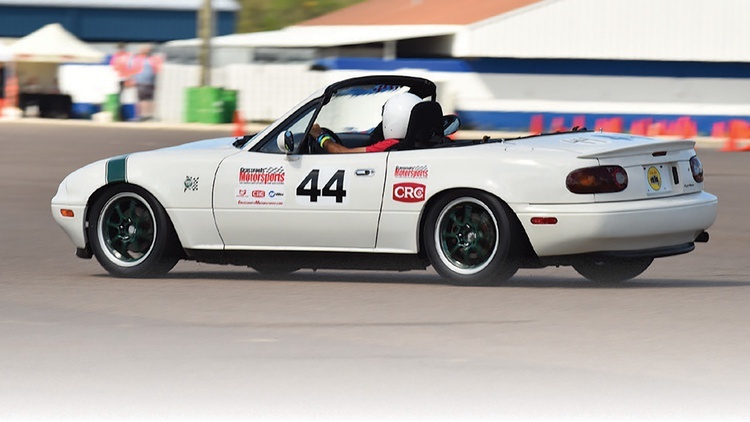 We sent our pro drivers out in a new Mazda MX-5 on General Tire G-MAX RS tires, and the best they were able to manage was a 41-second run. The staging lanes opened on Friday as night was falling. 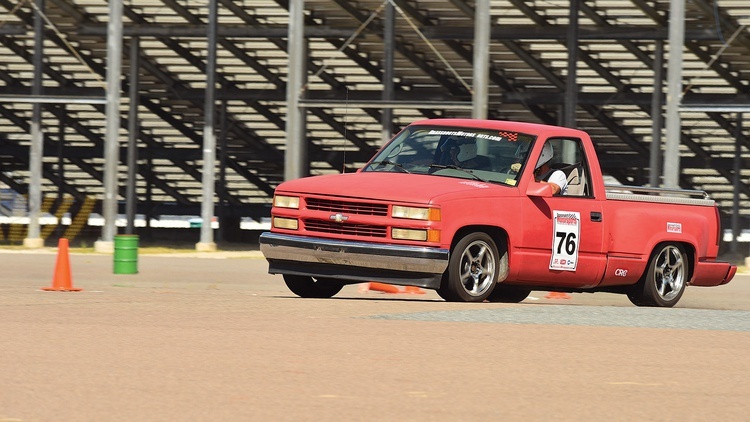 This meant that just hours after posting nationally competitive autocross times, our Challengers would need to run the quarter-mile as quickly as possible. 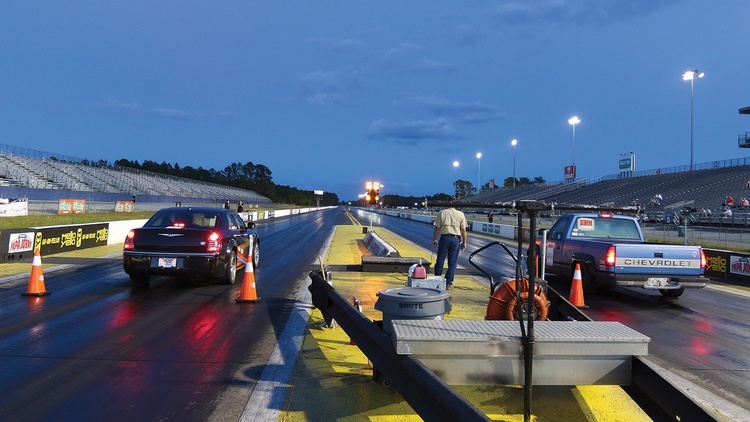 For most teams, this meant bolting on a set of spare wheels and drag slicks, and heading over to Gainesville Raceway’s storied quarter-mile, home to the NHRA Gatornationals. How do the teams afford drag rubber on their meager budgets? Well, there are a few exceptions to that limit. Teams are allowed to replace their brakes with stock parts for free, for example, and they’re also allowed to buy four tires without adding the cost to the budget. 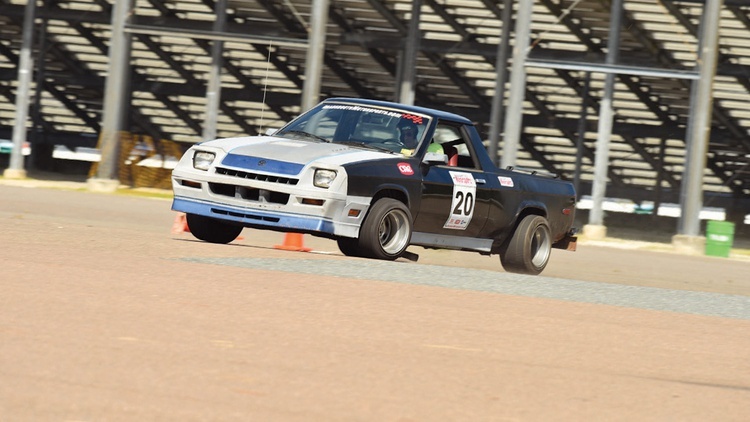 Since drag slicks are more expensive than autocross tires, this meant the top teams claimed two slicks and two autocross tires for free, then bought two more autocross tires with an impact to the budget. As usual, PACC Racing stole the show on the drag strip. 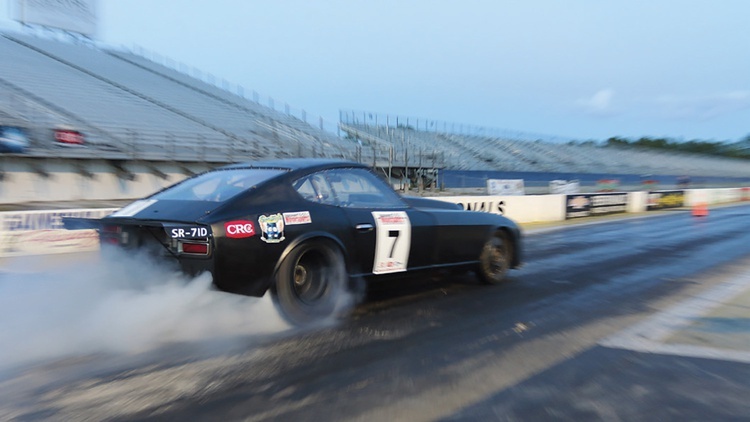 Father and son duo Andrew and Calvin Nelson posted first and second, respectively, with Andrew clicking off a drama-free 9.521-second pass in his altered-wheelbase Datsun 260Z. Yes, that’s quicker than a new Dodge Demon. Calvin’s Pontiac Sunbird nearly scored the fabled 10-second quarter, but couldn’t quite get there: His best run of the night was an 11.010. 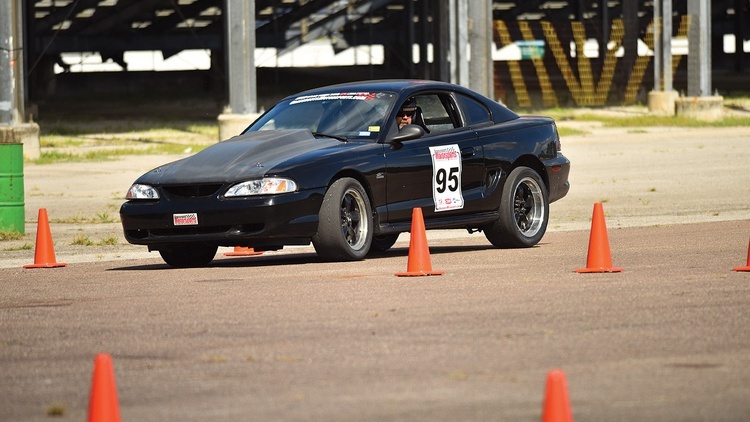 Ed Malle’s turbo LS Mustang earned third place on the strip by completing the quarter in 11.636 seconds. On Friday night, the teams retired to the host hotel’s parking lot armed with beer and polish. Starting the next morning, their cars would line up beneath Gainesville Raceway’s pavilion for the final leg of the $2000 Challenge triathlon: the concours. 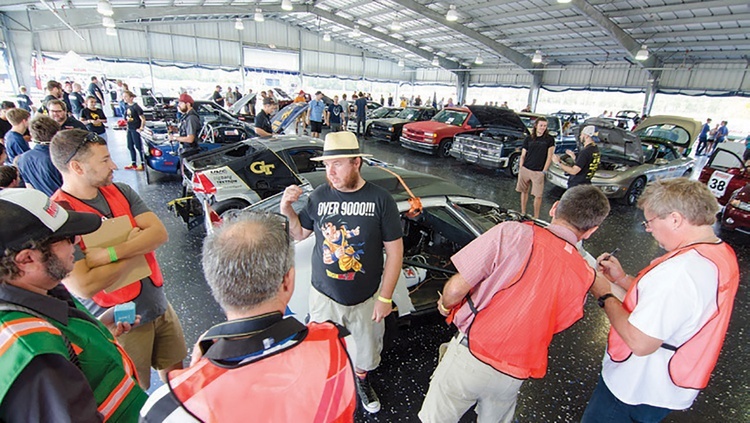 Originally conceived to keep the entries from looking like total clunkers, the Challenge concours has evolved into its own beast–a full day in the shade for teams to socialize and show off their creations while awaiting their turn in front of the judges. Each year we choose a new panel of esteemed concours judges, and this crop was a good one. There was Paul Fenner, veteran Challenge competitor and car guy; Jason Cammisa, past host of car shows like “Ignition” and “Head 2 Head;” Chris Brewer, director of public relations for the world-renowned Amelia Island Concours d’Elegance; and Brian Walsh, longtime racer and owner of Ford performance parts company Racer Walsh Co. They spent the day combing over every inch of the cars and listening as, one by one, teams made the case for their creations. These presentations had a strict time limit of just 3 minutes, although the judges could vote to grant a team bonus time. Not everyone took the judging so seriously. 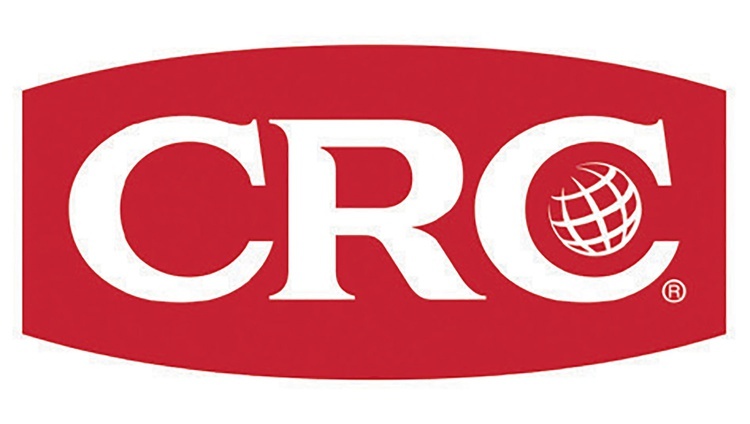 Some teams who entered the Challenge more for fun than for trophies opted to skip the concours and instead take an automatic 12-point score–sort of like the IRS’s standard deduction. Too Kyute Racing, for example, popped open some camp chairs and simply watched the madness unfold around them. Ed Malle, Dark Matter Racing’s team captain, went all in on cleanliness. The morning of the concours saw him drenched with sweat in the middle of a Pebble Beach-level detailing job on his LS-swapped Mustang. He even reinstalled the factory carpet, which had previously been absent to save weight on the autocross course and drag strip. He made it to the show field mere minutes before the close of judging. Top teams, though, used their 3 minutes to point out the specific feats of engineering and innovation that went into their builds. Take Calvin Nelson’s presentation as an example. His Pontiac Sunbird was powered by a turbocharged LS-series GM V8, so he set up his own injector flow bench to show the judges how he made junkyard fuel injectors flow more than twice their original volume of fuel. Georgia Tech’s Wreck Racing also impressed the judges with their innovation. 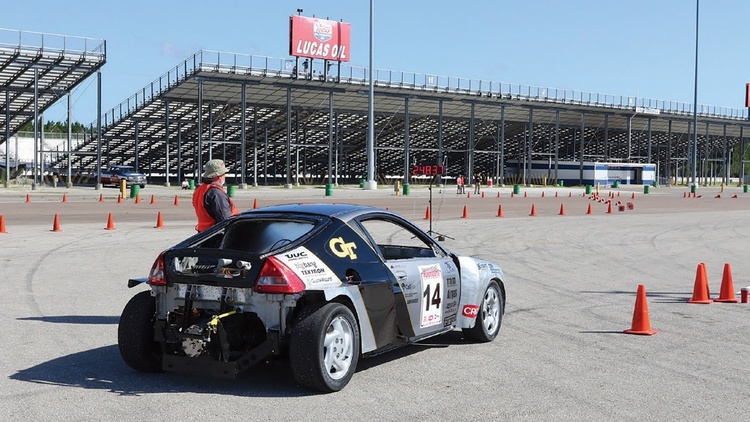 They’ve never been known for their detailing ability, but once the students realized they hadn’t broken their car and might have a shot at the overall victory, they scrambled to borrow cleaning supplies and make their Honda Insight presentable. Theirs was not the prettiest specimen, but the judges still scored it highly thanks to the team’s thorough lecture on how they built each part and why they built it that way. At the end of the day, the judges’ scores were tallied and Wreck Racing emerged the concours winner. Their Insight earned 22.75 concours points out of a possible 25. Second and third went to Andrew and Calvin Nelson, respectively. Dark Matter Racing, however, didn’t manage to podium at the concours despite Ed’s meticulous efforts. Why? 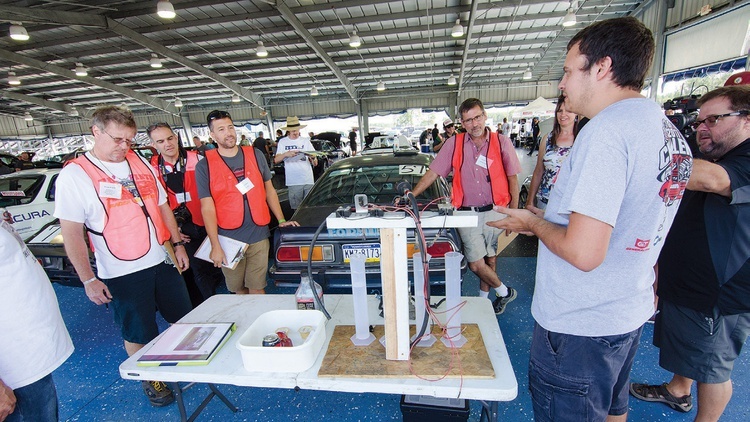 As Ed explained, “Fielding a 95% Solo effort left little time or energy to dial in a 3-minute summary of all the hidden technology in the car.” As a builder’s event, the Challenge rewards engineering and problem solving above cleanliness (although all are desired), and the judges rely on competitors to point out these often unseen aspects of their builds. 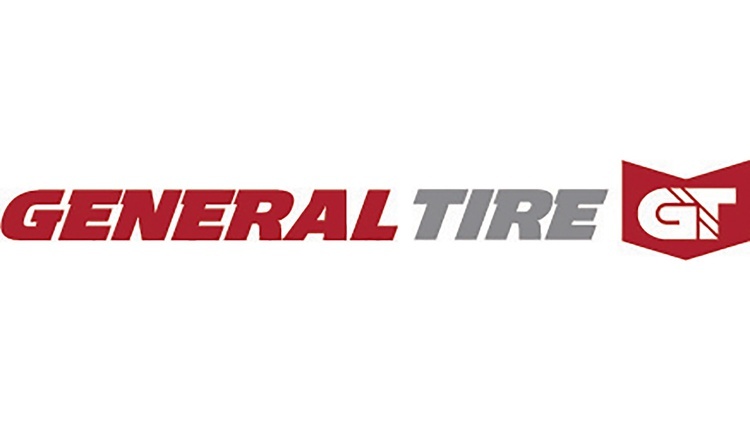 General Tire has been a supporter of the Challenge for years, and they host an event of their own immediately after the autocross closes: the General Tire Challenge. 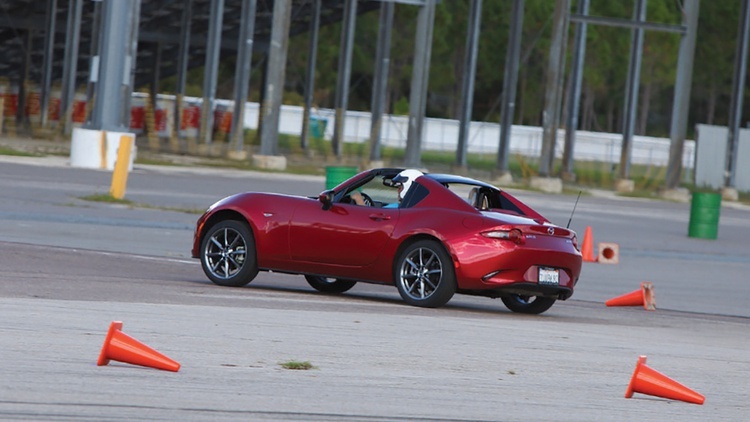 The first 20 teams that register for the event are invited to drive new General-equipped Mazdas–a Mazda3 and an MX-5 RF–on the same autocross course. The fastest combined time earns a brand-new set of General Tires. Wreck Racing is one of Georgia Tech’s many engineering clubs, and their formula is pretty simple: Come up with an insane idea for a $2000 Challenge car, build it, and then develop it over three years. Once those three years are up, it’s curtains for that project and time for a fresh mix of students to embark on a new crazy build. Has this formula been successful? Kind of. Besides this Honda Insight, Wreck Racing has built a turbocharged 2JZ-swapped MG Midget, a supercharged Lexus V8-swapped Miata, a turbocharged E30-chassis BMW, and a Volkswagen GTI. After breaking during the past two events, the Insight was in its critical year: It would either prove itself to be a fine idea indeed, or break again and send the team back to the drawing board without any trophies. The build started with a $275 Insight shell, to which the club added a Subaru EG33 engine found in an Atlanta junkyard. (This is the flat-six that was originally installed in the Subaru Forester and B9 Tribeca.) The Georgia Tech team converted the all-wheel-drive transmission to power only the front axle before fitting the whole setup in the back of the Insight. The suspension is equally wild. The front was swiped from a Ford Crown Victoria, while the back features a homebuilt pushrod suspension using sportbike coil-overs. After struggling with fragile aluminum structures for the rear suspension for two years, the team now uses good, old-fashioned steel to locate everything. Historically, aluminum has been both the Insight’s best feature and its downfall. The car is basically a bunch of pop cans glued together, and pieces of it kept breaking off. A new attachment method uses big metal slugs glued into the car’s OEM unibody structures, with the custom work attached to these slugs. This approach finally worked, allowing the Insight to complete the event without sloughing off any vital parts. Ed Malle wasn’t looking for a new project, but sometimes life just knows best. He bought this Mustang on Craigslist for $900. Why so cheap? Despite a healthy list of included parts–like new wheels and tires, a fancy aftermarket suspension, a nitrous kit, and an OEM Mustang Cobra rear bumper-it had no drivetrain and an iffy title. The seller had the piece of paper, but it was still in a previous owner’s name from a sale seven years prior. Fortunately, Ed had a trick up his sleeve: He knew that previous owner, a friend of his just across town. The friend signed the title, and Ed was officially in business. Ed scored a somewhat damaged TH400 automatic for $100, and picked up a used turbo kit for $200 from a drag racer who was looking to upgrade. The engine came from a self-service salvage yard where Ed took a wheelbarrow and a full set of tools. He located parts from a bunch of different cars and trucks, bolted them together in the yard, and emerged a few hours later with the engine he wanted without paying a la carte prices. For $429 he got a Gen IV 5.3-liter V8 with LSI heads, a manual throttle body, EGR-free intake, and the proper accessories, starter, harness and plumbing. Once he added some homebuilt mounts and a MicroSquirt ECU, he had a running, driving, turbocharged LS-swapped Mustang with nitrous. Ed molded his own race seat out of carbon fiber, then buffed and polished and cleaned the Mustang like a mad man. It would’ve worked, too, if it hadn’t been for those Georgia Tech kids. He already has big plans for 2018. What has 428,000 miles on it and can propel a Challenge car to a podium finish? If you’re Patrick Guzowski, the answer is a 5.3-liter V8 engine out of a rusty Chevy van. 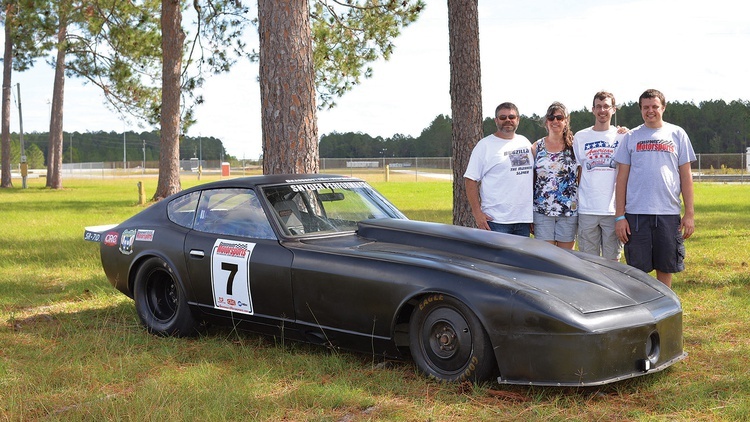 He started with the Z-car purchased with a blown engine from a past Challenge competitor. He didn’t want to swap in a normal small-block Chevy like everybody else, so he found what he describes as “the world’s worst work van” and handed the seller $500. He grabbed the van’s engine and 4L60E automatic for the Z-car, then scrapped the rest of the van. That scrap sold for $331.10. Patrick sold everything else he wasn’t using, including the junk engine and powerglide transmission that came with the car, and all told managed to recoup the maximum allowed under the rules‒half of the total $2017 budget. With a stronger rear axle out of the budget’s reach, Patrick had to find another solution to keep his 280Z’s half-shafts from exploding during drag launches. His solution was to raise the entire differential by a few inches to keep the CV joints straight when the suspension squats. 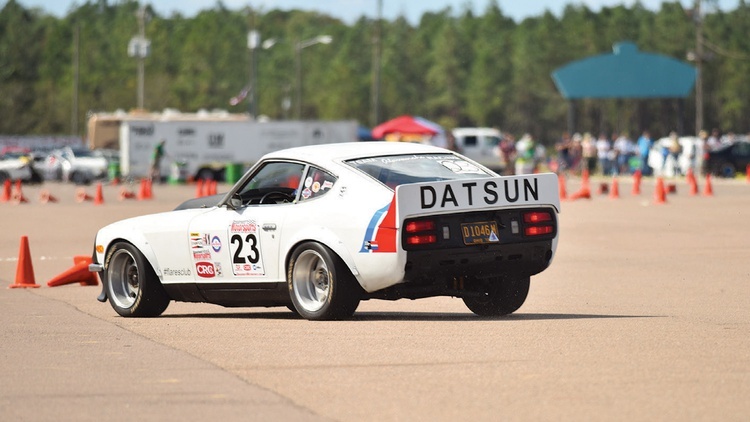 The Datsun’s first Challenge with its new heart was the 2016 event, where it managed a respectable eighth-place finish despite never being driven before the event. For 2017 the car had a year of testing and development under its belt, and that work showed. Will the stars align next year to deliver a Challenge-winning 280Z? Patrick says not from him‒he’s got a secret $2018 Challenge car waiting at home. At 24 years old, Calvin Nelson is a Challenge veteran who has fully come into his own as part of the Nelson family dynasty. 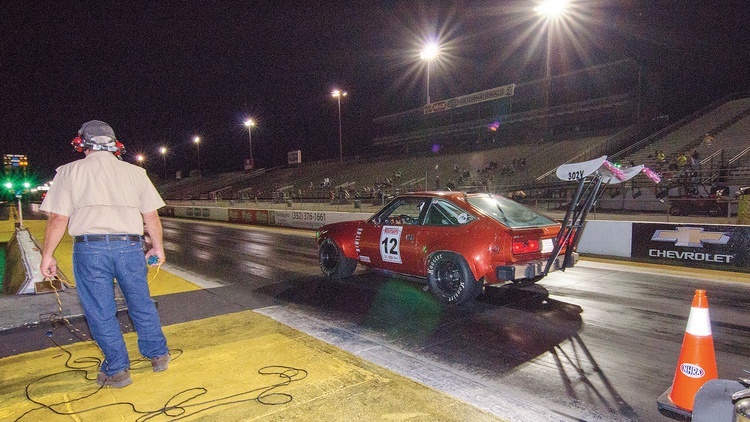 His car, a 1980 Pontiac Sunbird, made its first appearance at the $2014 Challenge powered by an old-school small-block Chevy V8 engine. His father, Andrew, served as driver. Calvin certainly knows his way around a carburetor, but that’s not what he’s into. He’s a controls engineer by day, and without sounding too cliché, he’s a true electronics whiz. So out came the small-block Chevy, and in went its modern cousin, an L33 5.3-liter small block Calvin scored with six spun rod bearings for $100. He rebuilt it in his garage with a combination of used parts from local swap meets and discounted parts bought online. The final engine came in for just under $800 and uses LS6 heads and an LM7 rotating assembly. What hurt Calvin’s wallet the most? Oddly enough, it was the harmonic balancer, which rang up at $212.99 from American Speed. That alone wouldn’t be enough to best the old small block, so Calvin bolted on a Precision 5976E turbocharger he scored on Craigslist for $300. “Great idea,” you’re probably thinking, “but there is no way he managed to fuel that monster without blowing his budget.” There’s where you’re wrong. It’s a mistake to underestimate how seriously the Nelsons take the Challenge, and here’s just one example: They freakin’ ported and polished their fuel lines. Yes, seriously. 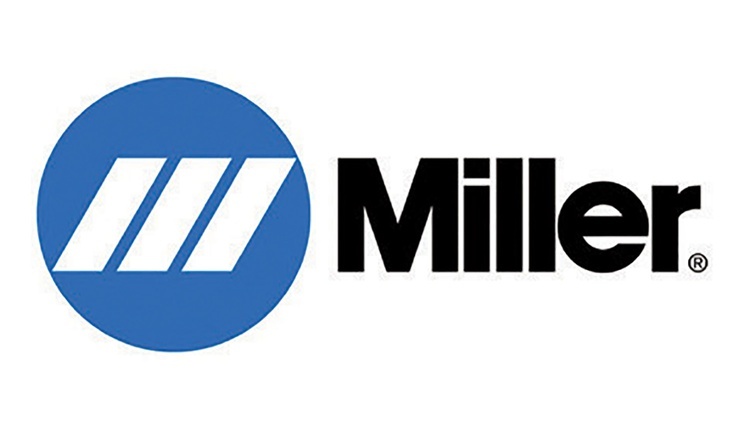 Calvin paired a $30 Walbro fuel pump purchased on Facebook with de-capped stock fuel injectors in an effort to deliver enough gasoline for the extra air being pumped in. Then, the Nelsons went to town with a Dremel, porting and polishing every single thing they could reach, from their fuel fittings to their intake plumbing, all in an effort to make more power for free. How does all this power reach the ground? Calvin and family fabricated their own torque-arm rear suspension using a Ford 8.8-inch axle; up front they installed spindles from a Chevy $10. They estimate that they’ve spent more than 500 hours working on their 5unbird, and it shows: Calvin’s entry earned the coveted Best Engineered award. We love to see the next generation get involved in motorsports, so we were elated when we saw three high school teams enter the $201 7 Challenge. 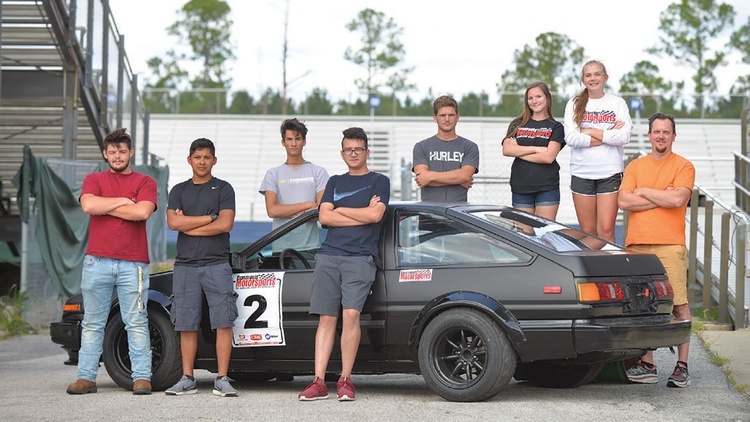 The top-finishing high school team hauled their AE86 Toyota Corolla from Wendell, North Carolina. 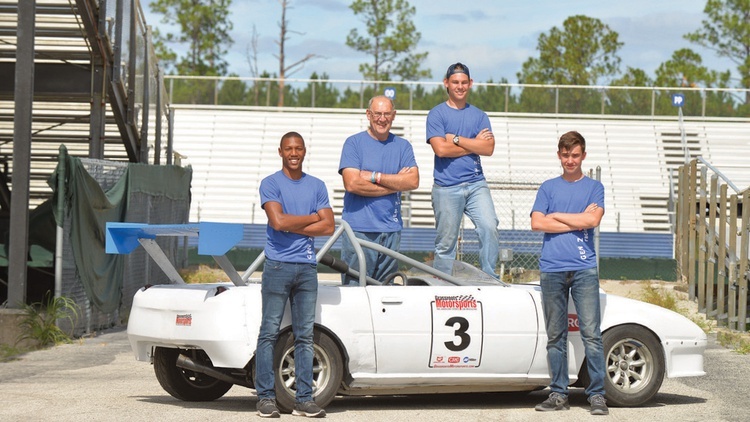 Although team leader Brandon Adams, an automotive service instructor at Corinth Holders High 5chool, has been racing his own classic Corolla in NA5A time trials for years, he said that he only served as inspiration for his students‒and an experienced helping hand every now and then. 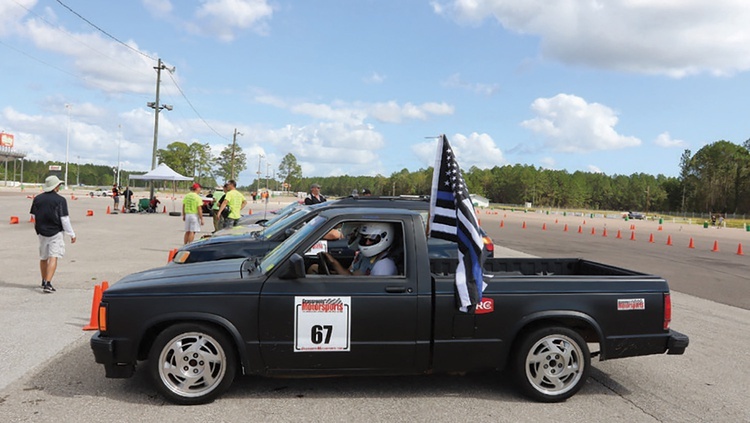 Their black Corolla performed very well in the autocross, grabbing sixth place with a 37.7-second run. A respectable 14.4-second quarter-mile time and a good showing at the concours pushed them into an impressive top-five finish. The Corinth Holders High School crew was also the top finishing rookie team. What did you accomplish in your high school shop class? Andrew Nelson and his family arrived at the $2017 Challenge fresh off two consecutive overall victories with a single objective: Set the fastest drag pass ever posted at the Challenge. Andrew wanted to make a quarter-mile run so fast that nobody would believe it was made on a $2000 budget. 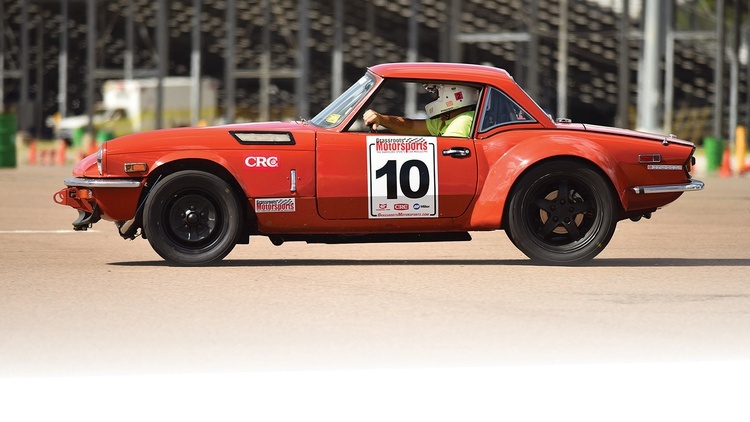 To that end, PACC Racing started with a 1974 Datsun 260Z, the same car they used at our $2006 Challenge. 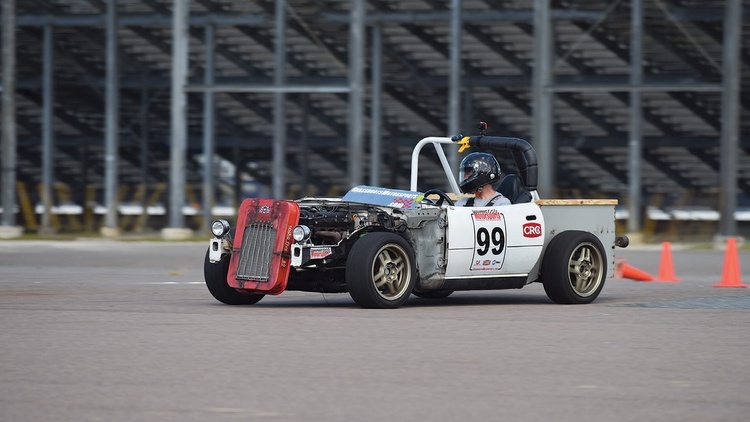 The team actually extended the car in front of the firewall by about 16 inches, seamlessly adding sheet metal, bracing, and a redesigned subframe and suspension to hold the front axle far in front of the engine. Speaking of the engine, power came from a Chevy small-block V8 and lots of nitrous. This particular engine had been in three of Andrew’s Challenge creations to date. The heads were full of cracks, the cylinders were scored, and the Nelsons had clearanced the pistons with a belt sander. This would likely be this engine’s last dance. 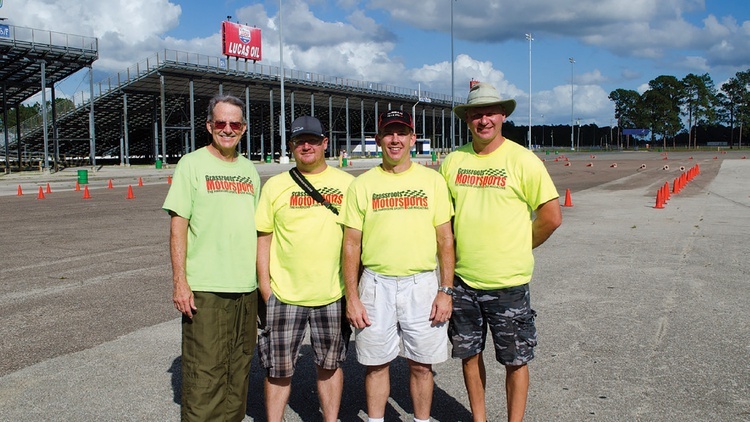 Before they could make it down the drag strip, however, they had to make an autocross run. And they did: Just one single run. It wasn’t the quickest, but their car was built for one thing: Going really fast in a straight line. Once it was finally time to uncork their creation, Andrew made his way to the line, primed his nitrous and waited. The crowd made its way to the bleachers, expecting to witness greatness. They were not disappointed: Andrew’s first pass took just 9.535 seconds. 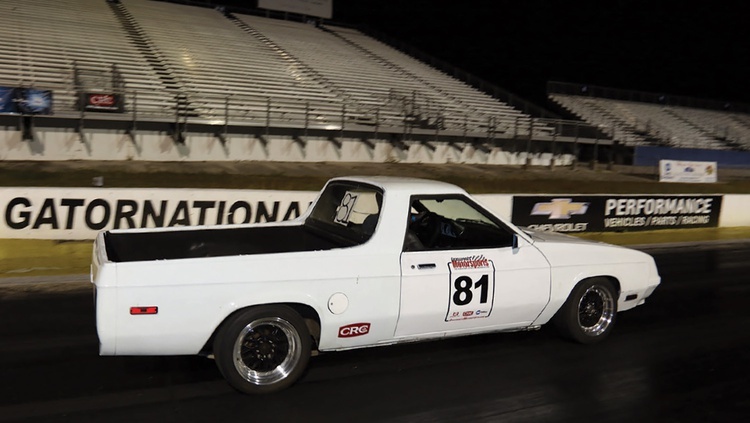 Although he had destroyed the previous quarter-mile record at the Challenge, he wasn’t done: After some tweaking at the trailer, the Nelson family followed the car up to the line for one last run. It was a 9.521. Want to see how ridiculously fast a 9.521-second quarter-mile time looks? Go watch the video on the Grassroots Motorsports YouTube channel. The concours was next. Andrew is famous in the Challenge community for absolutely meticulous attention to detail: Anything that can be made lighter without compromising structural integrity is shaved down or drilled out. His work and a well-presented build story brought him a second-place finish in the concours and sixth place overall. What’s next? The Nelson family is already building it‒and documenting it on the Grassroots Motorsports online forum. They call it “Project X-Bomb” and it’s based on a Chevy Nova. We’ll let you read the rest. Smith College is one of the few liberal arts schools that offers an engineering program, and it was the first women’s school to offer engineering degrees. Now, thanks to the $2017 Challenge, it can add something else to its resumé: It’s the first women’s school with a race team. Gracie Hackenberg, a self-described “total gearhead,” started the Smith College Racing team for $2017 Challenge. 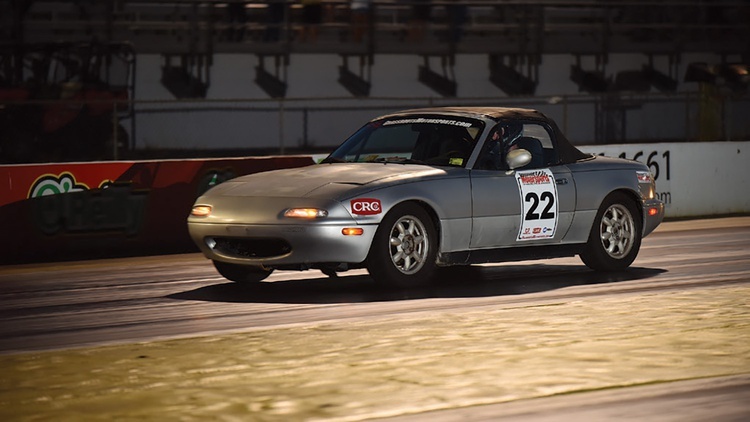 Aly de Silva and Jess Wert rounded out the core team, and together the three women built a Miata that was fast enough for a seventh-place finish–and a feature in the Wall Street Journal. What started all this? For Gracie, it was her grandfather, who introduced her to cars and racetracks. For everyone else, it was Dean Case, a PR professional who could fairly be called one of the guardian angels of motorsports. During his tenure as communications officer for Mazda, he visited Smith College to meet with students. Gracie asked the right questions, and managed to set up a visit to NASA’s Eastern States Championship with a group of students. That was the event that inspired her to build a car for the $2017 Challenge, and Smith College Racing was born. What exactly did they build? For this, their first year, they kept things simple. A Miata with a salvage title and a few suspension goodies formed the base, and the team built their own roll cage in the only workspace the school would provide them: the outdoor loading dock of the science building. (Hale Motorsports eventually gave them some extra shop space.) 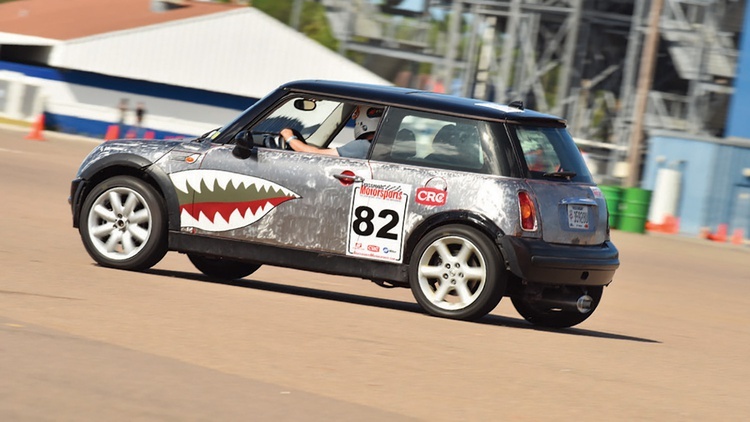 A spoiler and some sticky tires completed the car, creating a package that was fast enough to hold its own and well enough presented during the concours to earn seventh overall. We’re not sure it’s a good decision, but we do appreciate this line from Dead Skunk Motorsports’ build book: “My garage has a beer fridge.” One-man wonder Warren Martin decided to turn the Miata he initially purchased as a parts car into a Challenge car after its engine wouldn’t fit into his Corolla. 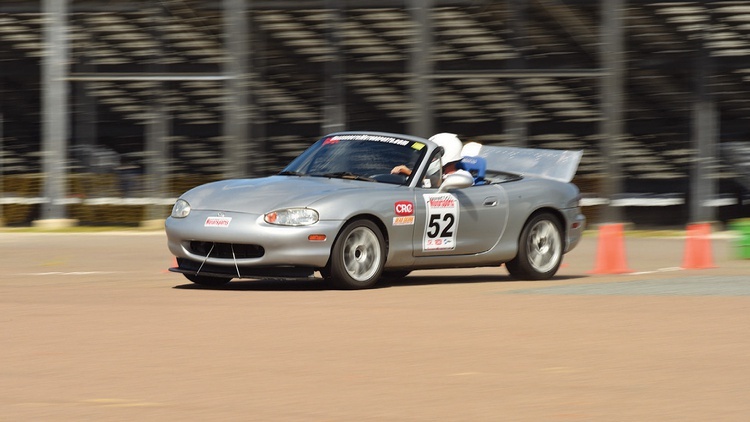 The Miata came with a Jackson Racing supercharger, so Warren focused on handling upgrades. A homemade splitter and spoiler helped the car stick to the ground, and an eBay coil-over conversion kit was installed with the help of a Dremel. Out of budget and in need of a larger front anti-roll bar, Warren made his own by cutting the ends off a Ford Ranger bar and welding scrap steel in their place. He reshaped the Ranger bushings with his handy Dremel so they’d fit in the stock Miata locations. Most teams don’t build their first Challenge car to win. Instead, they start small and work their way up to a wild build. Take Wreck Racing, for example–they started their Challenge career in a mostly stock Golf GTI, then built more ambitious cars as time went on. Michael Crawford, better known as DusferBD13 on our forum, is not like most people; and when you combine him with Dallas James and Steve Stafford, they are not like most teams. They decided that their first Challenge car would be awesome, and they were willing to work for it. How, you ask? Exactly. Michael accumulated a Rolodex of past and present competitors, then called at all hours and asked every conceivable question he could think of. 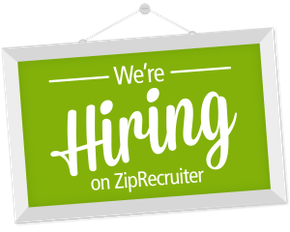 He did the same on our message board, peppering all fronts with questions: How should I do this? Why did you do that? What does this rule mean? We’ve never seen a Challenger more determined to figure out this event. So, what did Bad Idea Motorsports build? It’s awesome. They purchased a 1980 AMC Spirit from a down-on-his-luck seller for $200 and a cigarette, and then went to work turning it into what we’re pretty sure is a full-size model of a future Hot Wheels car. They needed an engine, and for $300 found a supposedly upgraded and rebuilt one–although they never quite got all of the specs. A three-speed out of a Ford truck sends power to the limited-slip Explorer rear end, which the team bought for $100 after declining the seller’s invitation to purchase some crystal meth, too. How about that awesome bodywork? Yep, we were fans. The team built those flares out of expired fiberglass resin and discount fiberglass mat sourced from Amazon. How’d they shape them? They improvised, and we’d say whoever did it was quite the artist. What about the paint? They found the color on a local parts store’s rack of mis-tinted paint, then sprayed the car in Michael’s gravel driveway. The “Gigantic freaking wing” came from an old drag racer for $100, and completes the car (at least in our minds). Though it looked the part, the Spirit wasn’t as fast as expected. Part of that blame goes to the circle track slicks, which struggled on the drag strip. Thanks to a strong concours score, this first-year team still earned a top-10 finish. 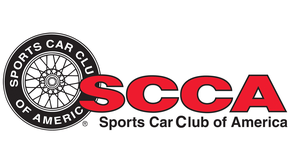 The Shelby Dodge Auto Club team, which is headed by Bill Cuttitta, Pat Culkin and Barry Miles, is no stranger to cheap, nasty cars. The team’s been to every single Challenge, and they don’t usually start with a presentable vehicle. This year, though, was different. In a departure from their usual start–from–nothing-and-improvise approach, they actually bought a surprisingly decent 5.7-liter V8 Chrysler 300C. Why did it cost just $1200? The seller seemed to want the car gone as quickly as possible, and it was clear from the state of the interior that this particular 300 had experienced a very rough life. At first they figured the seller was simply in financial difficulties and needed to move on, but once they started cleaning it, the car told a very different story. The presence of a deceased young woman’s wallet and a pile of used syringes convinced Bill and Pat that their great deal was the result of the nation’s opioid epidemic. While that soured the moment, it wasn’t going to stop them from building a very, very fast car. They scrubbed and polished until the exterior was presentable, carefully applying a vintage SRT theme over the worst dents and scratches. The Challenge may have a limited budget, but teams are welcome to solicit as much advice as they want. So Bill and Pat called some old friends at Dodge and asked for their best low-buck 300C drag recipe. That’s what gave them their final formula: SRT Charger shocks and springs ($200) paired with new upper A-arms and a $50 module to disable the stability control. After the car got a used set of wheels, a cheap nitrous kit, and some drag slicks, they were reliably clicking off 12-second passes. Can a Miata make a cool rat-rod pickup truck? Ask Rob Ebersol and Steve Swiger, the guys at Gorilla Garage, and the answer is yes. Rob, a graphic artist, had the vision. Steve had the reciprocating saw and, with two young boys, a supply of cheap labor. Once the Miata’s body was cut away, the new one was formed from, among other things, a shopping cart found in a field, an old Radio Flyer wagon, and a discarded shipping pallet. The final creation now looks like something you’d see at the local cruise-in. It doesn’t have a turbo–yet–but the Miatatruck weighs just 1700 pounds. The car’s standout power adder is a programmable ECU running FreeEMS, an open-source engine management. Fred Cooke, the creator of FreeEMS, flew in from New Zealand to attend the event. Kurt Hennard’s Spitfire is nothing short of remarkable, and even though it’s been to three Challenges, it never gets old for us. Originally powered by a turbocharged Triumph drivetrain, it now sports the turbocharged 4G6CT engine from a Mitsubishi Eclipse. That’s mated to a car that’s basically custom made, with a Dodge Ram transmission, Jaguar XJ6 front suspension parts, and a completely bespoke rear suspension built around a Ford Thunderbird SC driveline. The $2016 Challenge ended in disaster for Kurt, with a hard hit on the low-hanging oil pan causing the Eclipse engine to throw a rod. This year, he redesigned the pan in an attempt to keep the oil where it belongs. He also redid the front suspension in order to get the wheel rate closer to the spring rate. So, was this his big year? In a way, yes, since he moved from 39th place last year to a very respectable 12th. However, his weekend again ended in tragedy after the used engine threw a rod through the oil pan during its drag run, forcing him to coast to the finish. Did that dampen his spirits? Not really–he has even bigger plans for the next event, and knew the engine was a time bomb when he put it in. Kurt’s exceptional fabrication skills, positive attitude, and willingness to share his talents with other competitors earned him our award for Spirit of the Event. He also took home the award for Most Spectacular Failure, since a stock Spitfire can’t throw a rod nearly as far as Kurt’s can. The $2017 Challenge rewards creativity, fabrication skill, and luck. Jeremy Randolph, a detective by day and a cornerstone of the online Challenge community by night, certainly has plenty of all three, but it was that third ingredient, luck, that scored him this Probe. When you’re a cop, you have certain privileges that normal people just don’t have. One of those is approaching seemingly stolen cars without worrying about the repercussions, so Jeremy went to meet the seller and figure out what was going on. 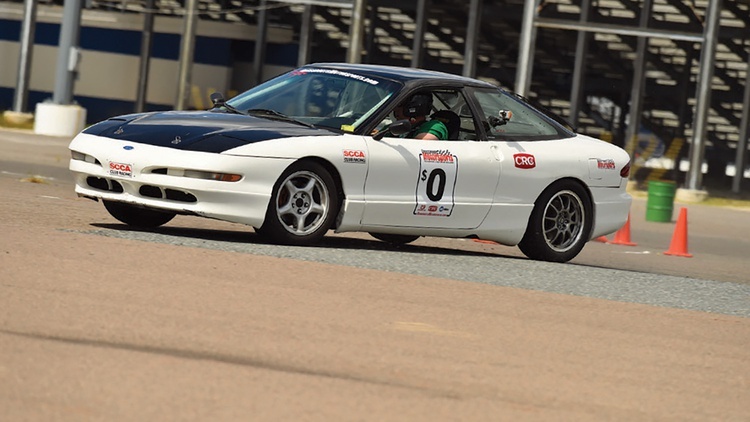 In a nutshell, the seller bought a newer race car, parked the Probe, and lost the title. After trying unsuccessfully to sell the car on Craigslist, he gave up and decided that he’d give the car to the next person who emailed. Jeremy was that next person. Even better: The seller called Jeremy a few days later to say he’d found the title. Just like that, Jeremy had received a free Probe from a random guy on Craigslist. What did it need? Not much. Jeremy replaced some missing suspension hardware, changed the oil and the timing belt, and added a bigger rear anti-roll bar and some new wheels and tires. The story gets even better: During the concours, a spectator walked up and made a cash offer to buy the Probe. Jeremy walked home from the Challenge with $3200 in his pocket and an award for the fastest car costing less than $1008. The $2017 Challenge may be designed for production cars, but some teams go that extra mile and obtain prior approval from GRM staff to push the definition of “production.” We generally require a production chassis or a production shell, so Joe Burchett and his Saul Goode Racing got creative with a dwarf car chassis. 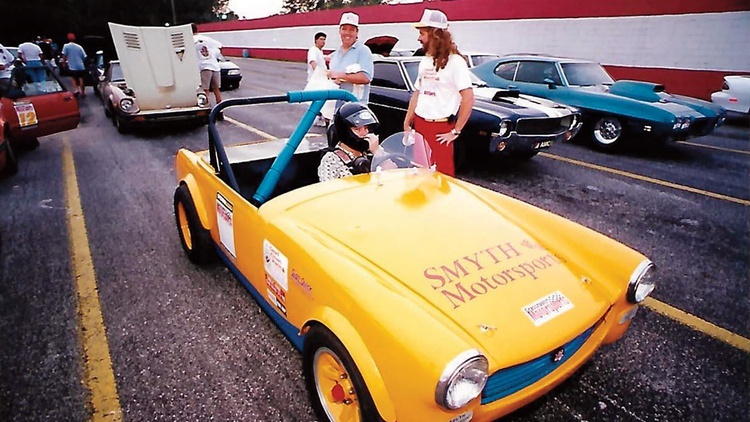 They paid $125 for the shell of a Subaru 360 Microvan, better known to some readers as a variant of the slowest car available in “Gran Turismo4.” After copious amounts of cutting and welding (and an entire gallon of body filler), they emerged from the garage victorious, having given the little van the chassis of a race car. They powered it with a Hayabusa 1300 drivetrain to create a lightweight, powerful, tube-framed Challenge car. The “Scooby Doo” theme didn’t hurt their concours score, either. Why didn’t the little van finish higher? 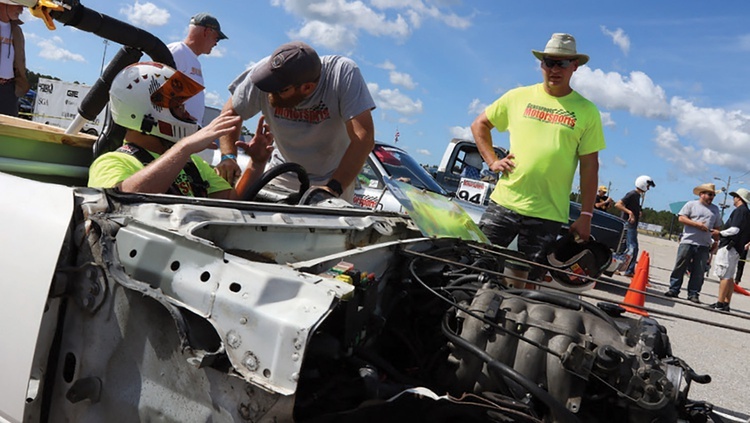 Thanks to the build’s late start–the team began just six weeks before the event–they spent most of the weekend sorting the car and never did get the clutch working. They had to begin every run with a push by a crowd of volunteers, which explains the slow drag pass and autocross times. We’ll call that a lie, because a 15th-place finish in a $700 Infiniti is far from a defeat. 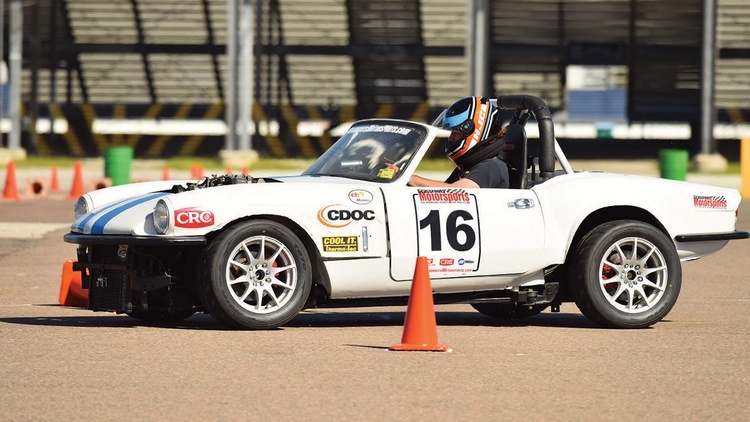 Andrew Neuman, the team’s captain, originally purchased the car for the $2016 Challenge, but after the pickup class was announced, he knew what he had to do. Armed with a few cutting implements and not worried about resale value, he turned a neglected beater into the coolest luxury pickup truck ever. A parking lot nitrous installation completed the package and shaved about a second off the Q45’s original drag time. Pete Gossett thought he was picking up a survivor with 63,000 original miles. Turns out he was actually getting an untouched, 32-year-old survivor that had been off the road for more than a decade. Undeterred, Pete went to work replacing the glass hatch that had been shattered by a tree limb and rebuilding the seized engine himself. Rather than troubleshoot the original injection, he converted the car to a carburetor, which ended up costing several hundred dollars, and four months, more than he anticipated. As Pete says, his car isn’t a wild build full of homemade go-fast parts. 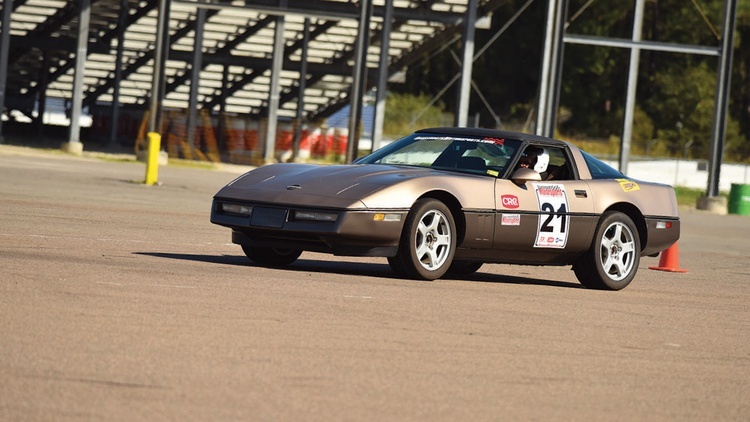 But he brought a classic back from the brink, and plans to continue its development for the SCCA’s CAM-S autocross class. Ami Ceresi was diagnosed with migraines in 2015, and that same year she and her husband, Dan, purchased this Integra with a salvage title. Unfortunately, it wouldn’t pass inspection for a rebuilt title, so they decided to turn it into a track car. What track, though? As the pair recalls, they were reading through results from the $2016 Challenge when they asked their dog, Turbo, if they should enter the $2017 Challenge. She barked yes, so they enlisted their friends, Jeff and Dan, to help build the Acura for our event. A few bolt-ons helped the engine breathe, and the team stripped the interior to save weight and recoup some budget. Why the purple decals? That’s the official color of headache and migraine disorder awareness, making this the world’s first Migraine Awareness themed track car. 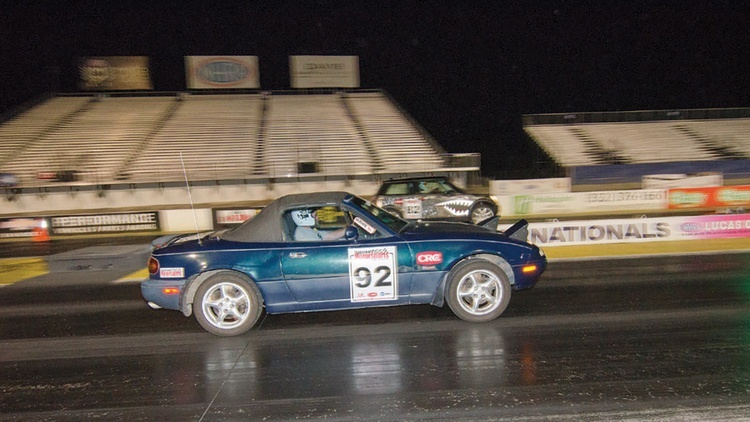 Brian Clark originally planned on entering a different car, but after that build fell apart, he moved on to this Miata. He bought it on Craigslist with a bad transmission, and after installing a used replacement ($200) and some sticky tires, he turned in a very, very respectable performance. Word to the wise: Never piss off your spouse. Michael Stamps bought this 340-horsepower luxury sedan for just $50 after a disgruntled ex-lover went crazy on the exterior, damaging the glass and nearly every panel with a key or some other sharp implement. After replacing the glass with sheet plastic, Michael put the car on a diet, tossing the air conditioning, power steering, cooling fan, mufflers, sunroof and interior. A bedliner paint job helped obscure the terrible state of the bodywork. With the car back in running, driving condition, Michael focused on making it faster. The stock 2.73:1 rear differential was replaced with a 3.57:1 limited slip from a 350Z, while used wheels host autocross and drag tires. After selling the seats and putting in a used transmission, the team painted their car in the backyard and installed a front anti-roll bar and springs sourced from Flyin’ Miata. The off-brand suspension bushings came from Amazon. With homemade sub-frame reinforcements hiding the bashed up undercarriage, the team was ready to race. The $2017 Challenge saw more schools attending than ever before, and one of them was Rowan University. Why did they decide to enter? The school offers engineering clinics, which are designed to let students focus on a specific topic for a semester or year at a time. Dr. Krishan Bhatia found out about the Challenge and decided to start a clinic with the goal of competing in the event. 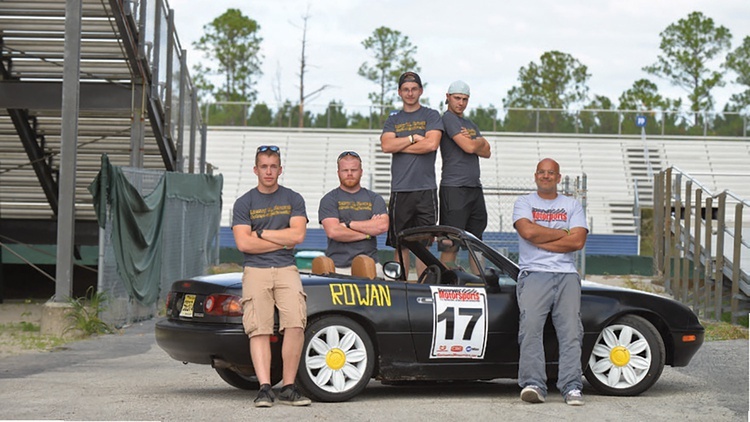 Despite starting just a few months before the $2017 Challenge, the team dragged home a 1.6-liter Miata and went to work. 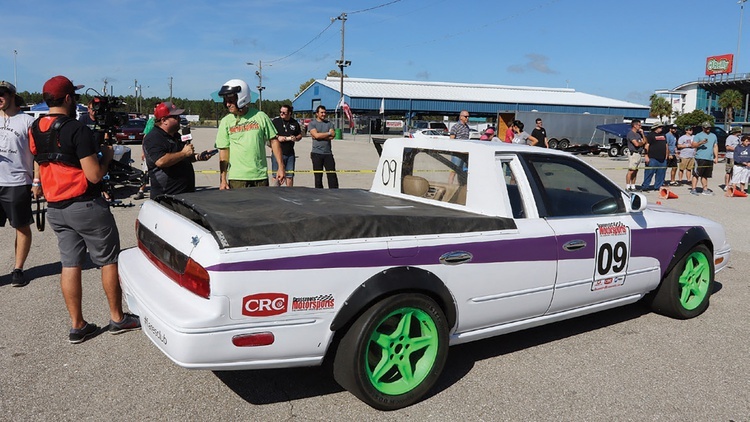 They decided to focus on the autocross, swapping in some Tein coil-overs and using body filler and spray foam to fix the car’s rust. Those distinctive wheels? The team decided to keep them, earning the car its name: Daisy. If a robot decided to build a car for the $2017 Challenge, this is what it would make. At least, it’s what Brian Dondlinger’s robot would make. An engineer by day, he put a lot of thought into what his team would build to tackle the Challenge. We’re not talking “have a beer and relax” thought, either: We’re referring to the five pages of spreadsheets and graphs that he included in his build documentation. 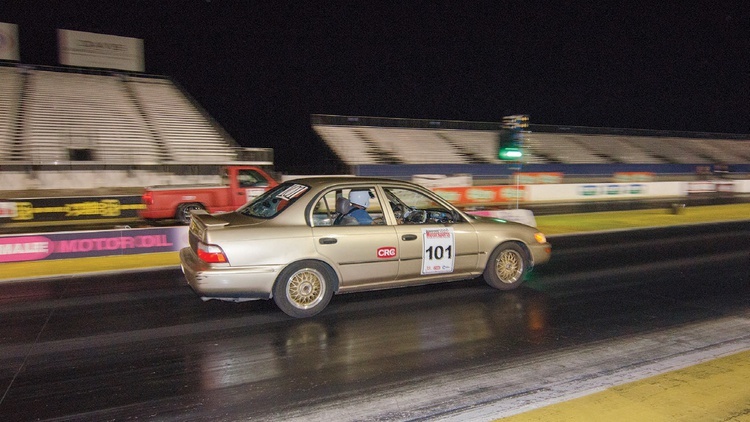 They chart everything from car make and model to exact tire size used in past Challenges, crunching the numbers on the event’s nearly 20 years of history to determine the perfect build. The team even developed a weighted points system for the myriad of car and component choices. After this exhaustive analysis, they had their answer: They needed a short, wide, rear-wheel-drive, rear-engined car. Just like that, their recipe was written. Now they had to build it. The base would be a crashed Mini, while the 3.5-liter V6 from a Nissan Maxima would propel the rear wheels. They found the cars for sale online, and started the cutting and welding. They transplanted the Maxima’s entire front subframe into the Mini before topping it off with an awesome bare-metal theme that they say is reminiscent of 1940s aircraft. Did all of this pay off? It depends. The car was awesome by all subjective measures, but didn’t live up to expectations on track. We’re hoping to see it back for the $2018 Challenge, hopefully sorted and ready to win the event. Pop quiz: How fast could you go at the $2017 Challenge in a $200 Corolla with no springs? If you’re Adrian Valella, the answer was a solid mid-pack finish. In what he described as a challenge to himself not to spend money, Adrian first removed as much as he could from the car. Then he used ¾-inch washers purchased from Lowe’s to raise the suspension high enough that it could ride on its bumpstops–yes, no springs. Comfortable? No, but it was surprisingly fast, posting an autocross time that will make automatic, four-cylinder Corollas everywhere proud. 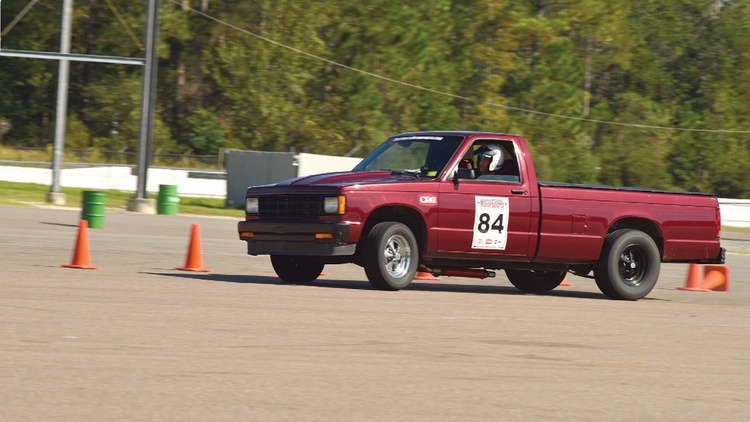 Swapping a small-block V8 into a Chevy S-10 pickup isn’t a new formula, and for good reason: The result is an inexpensive, fast toy that can still carry an engine home from the junkyard. Jeff LaVoy and his team decided to follow that path for this year’s pickup class, and the result is a truck that we can honestly say made us jealous. Miatas make good consolation prizes, right? 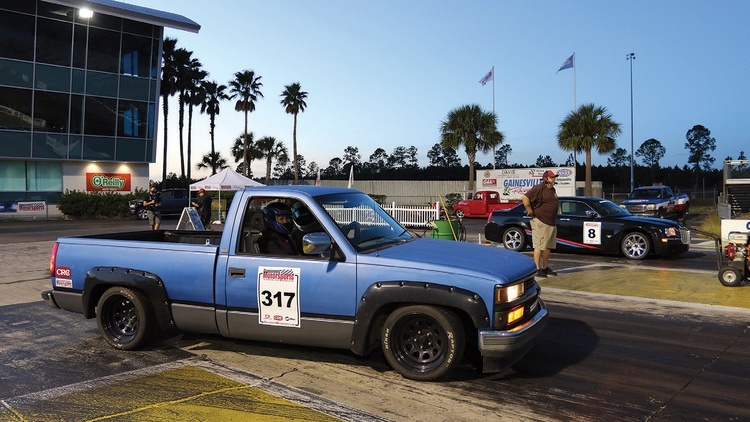 Dead Lizard Racing originally planned to build a LT1 V8-swapped Chevy S-10 for the pickup class, but setback after setback made them abandon that plan just weeks before the event. 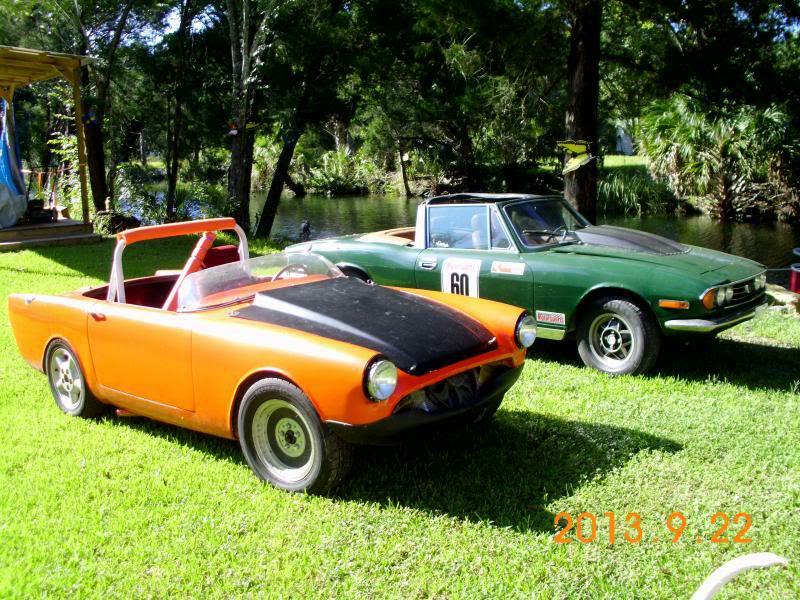 Fortunately, there’s always a Miata on Craigslist. 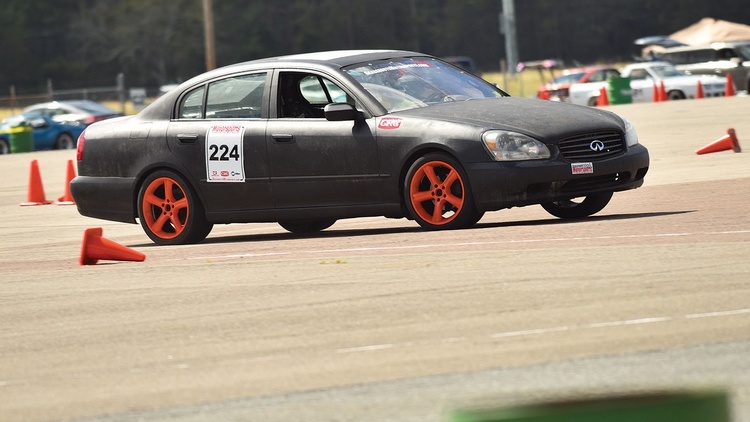 They bought the car less than a week before the event, hid its warts as best they could with less than $100 left in the budget, and drove down to Gainesville to have some fun. As for the truck, they’re hoping to have it ready in time for the $2018 Challenge. Robert Babcock traded a running, driving Buick Riviera for this Rampage, which was in the middle of a stalled engine swap by the previous owner. Under the hood was a poorly mounted 2.5-liter turbo from a LeBaron; on the plus side, the wiring was a mess and it hadn’t run in years. That wasn’t going to keep Too Kyute Racing from the Challenge, though. They thrashed and thrashed on the car in the weeks before the Challenge, repeatedly turning to the turbo Dodge forums for advice and help. They chased wiring issues, fuel issues, boost issues, and annoying issues like a last-minute broken throttle cable that they replaced with parts from a bike shop. They made it to the $2017 Challenge, and didn’t do half bad. We’re hoping to see the Rampage back next year, fully sorted and ready to race. When asked if he’d do anything differently, Jeremy Randolph’s response is immediate: Install the LT1 V8 and T-56 transmission sitting in his garage. Despite not accomplishing everything he wanted to with his third Challenge entry, he still built a pretty cool truck. Drop springs and spindles lowered the ride height, while big anti-roll bars and a ZQ8 steering box helped the truck turn. Those wheels are 17x9.5-inch pieces from a 1991 Corvette, and carried big, sticky tires. What’s this S-10 do when it’s not at the Challenge? It’s Jeremy’s truck. He claims that he uses it the way Chevrolet intended, with frequent trips to Lowe’s and the junkyard. 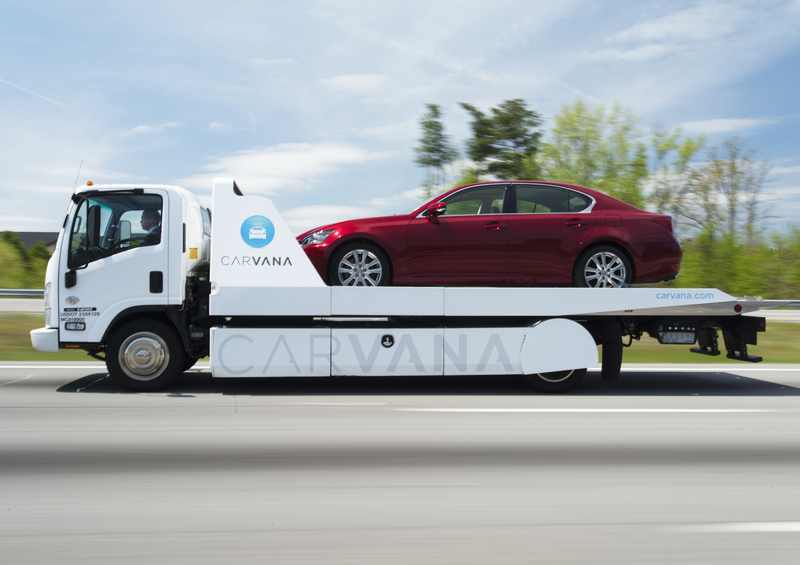 What happens when your backup car needs a backup car? If you’re Cowbell Customs, you bring your Miata. 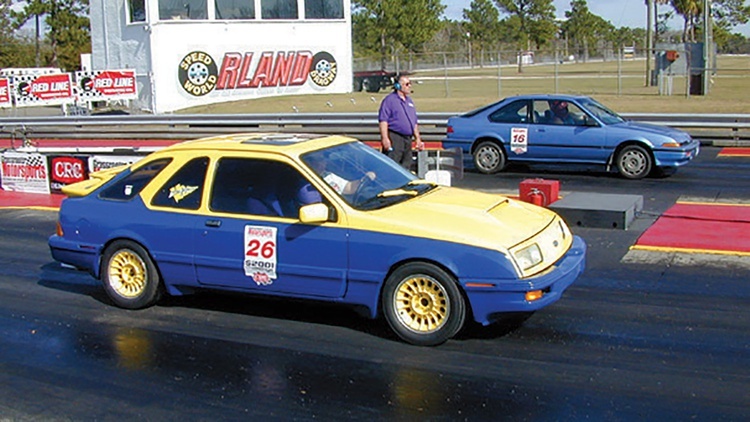 The team originally built a 2.4 turbo-swapped Neon ACR, but engine problems kept the car from competing. Instead they found a Golf, and swapped in the drivetrain from a crashed Jetta VR6. Disaster struck again, though, as the clutch failed a few days before the Challenge. 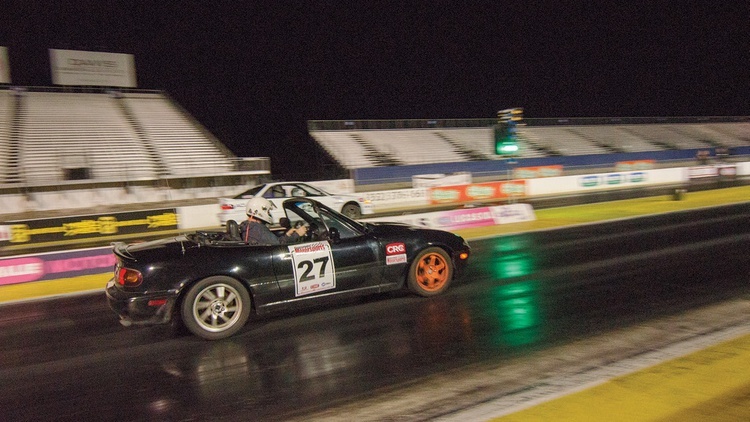 So with no other options, they placed “Beer” in charge of morale (seriously, it’s in their build book), drove their as-purchased Miata down, and still had a weekend of fun. Adam Moore always brings something interesting to the Challenge. 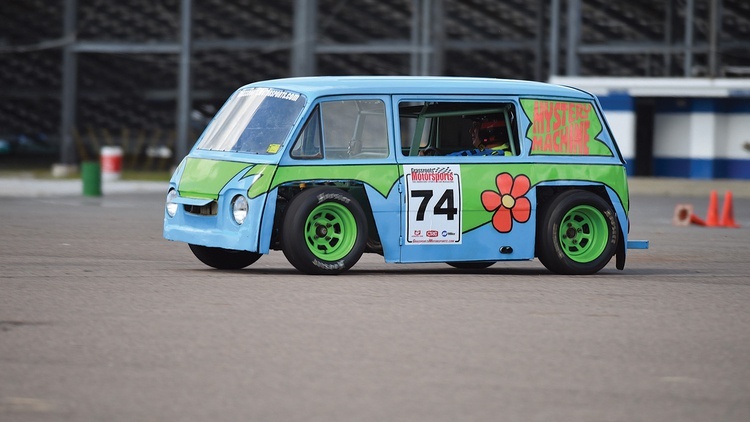 For the 2016 event he brought a turbocharged Dodge minivan–that was the year of our special minivan class. Adam’s budget consisted of the car’s purchase price and just a few additional pieces of hardware. Even so, his performance in the timed events won him respectable results. He chose not to be judged in the concours, claiming his default 12 points–which actually gained him one position in the final results. 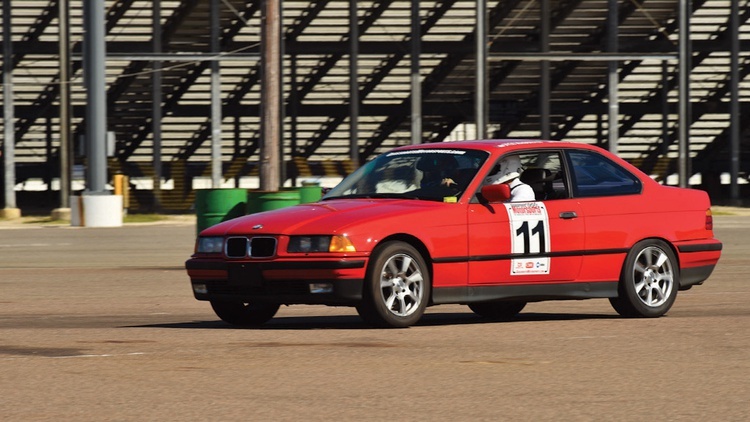 First-timers Greg MacDonald and Steve Woodham showed up in something simple and reliable: a fairly stock E36-chassis BMW that they drove in from North Carolina. They also took the standard deduction for the concours, allowing them more time to soak it all in. At just 16 years old, Trey Avery was our youngest team captain, but we loved his V8-powered pickup truck. A 305-cubic-inch small-block Chevy motivated it, while he lowered the suspension a ton–4 inches up front and 6 in the rear–and added big anti-roll bars to make it handle. Those are fifth-generation Camaro wheels. After a new radiator and water pump, along with some spray paint and the help of his wife, Erin, Andy’s truck was back on the road. Did he win? No. But he had fun and built his dream truck. Kevin Sweeney has also been a Challenge competitor for years, regularly making the big trek from Illinois. For a while he entered Saturns; once he dressed up like Colonel Sanders–yes, the chicken guy. This year he continued the comestibles theme by entering a largely bone-stock Pontiac Grand Prix wearing signage for Gentleman’s Collection, a winery whose inspiration dates back to 1843. Ah, the parking lot build. Originally a big joke, it’s evolved into a privately funded and managed staple of the event, with Jeremy Randolph doing much of the grunt work required to sully the host hotel’s parking lot every year. This year, thanks to the pickup truck special class, Jeremy figured a truck would be appropriate. He found this crashed single-cab, short-bed, V8-powered truck on Copart, then replaced the bed and the door with salvage-yard pieces for a few hundred bucks. 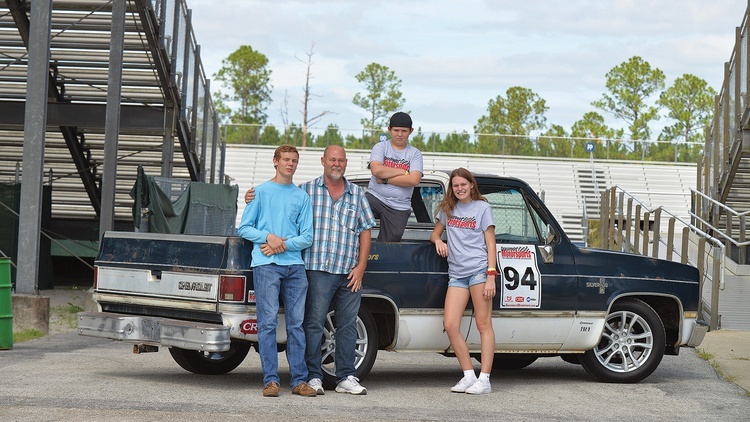 Once the truck was running and driving, John Welsh, another cornerstone of the Challenge, volunteered to drive it from Jeremy’s house to the parking lot, with another Challenge car (literally) in tow. Hey, we never said these were cautious people. In the parking lot a swarm of volunteers descended on the truck. Organized on the forum and all equipped with whatever tools they’d remembered to bring, in just 12 hours the crowd installed a lowering kit (including a C-notch above the rear axle), and gave the truck a faded red paint job, then took turns driving it in the autocross and down the drag strip. Was it fast? Not particularly. But it had more smiling people in its paddock spot than any other entry. Can a team of home-schooled high school kids compete with the engineering might of Georgia Tech? At the $2017 Challenge, the answer was yes. Tyson Russell, Gabe Carvalho, Quinton Wiebe, Gabe T. and team leader Raul Garcia built this wild 12A rotary-powered RX-7 out of a totaled shell. The roof was cut off, and the rear trunk, rear bumper, and nose were all handmade, with the resulting rear end having a distinctly ND MX-5 appearance. 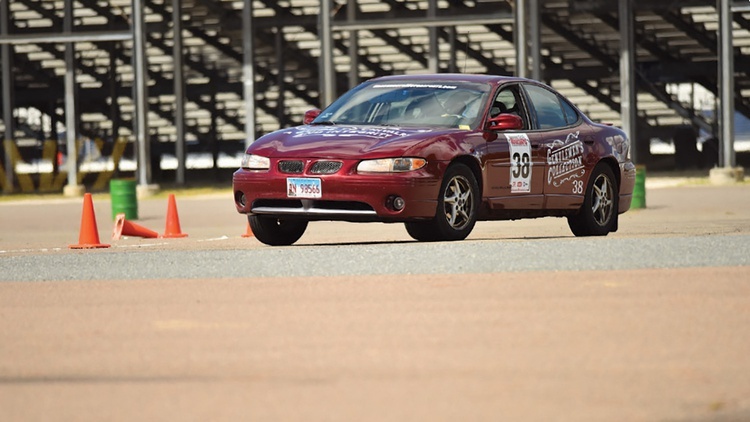 Though their car looked good in person and on paper, the team members struggled to find their way around the autocross and ended most of their six runs without a time. Bespoke builds may dominate the Challenge’s podium, but some competitors show up to have fun, drive their car, and win the party. Donnie Petrunak, the one-man band behind Fail Inc Motorsports, is squarely in that second category. After visiting the GRM offices during the One Lap Of America, he knew he had to build a car for the Challenge. 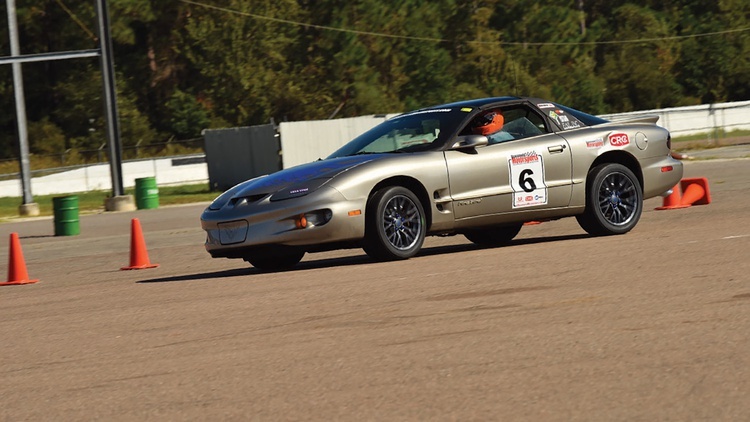 He bought this V6 Firebird for $500 online a few weeks before the event, fixed its overheating problem, and had a blast wheeling it around the speed competitions. Besides having a cool Spitfire, this team also holds another honor: They paid more than anyone else for their car, spending every cent of the budget on their initial transaction. This Spitfire, sporting a 2.3-liter turbocharged engine from a Ford Thunderbird SC and the rear suspension from a Mazda RX-7, is actually a Challenge veteran. The team bought it in full Challenge trim, then sold the included drag wheels and tires to recoup some spending money. After some maintenance, some tuning and a new exhaust, they were ready to race. Karl and Marie La Follette have been Challenge regulars for years. Put them in the group of people who add an extra helping of personality to the event. New to the event? Need a favor? They’re among the ones who are always welcoming the newcomers. Case in point: They own a graphics company, and during Thursday’s check-in Karl showed the Smith College team how to apply their stickers like a true pro. This time Karl and Marie brought a Jeep Comanche that they dubbed the Comanchero, since a previous owner had chopped off the roof to create a convertible of sorts before the vehicle was allowed to deteriorate. The La Follettes cleaned up the thing, applying fresh paint along with the colorful graphics celebrating four musicians who tragically left us too soon: Lemmy Kilmister, Jimi Hendrix, Tom Petty and Duane Allman. Jason Walters again drove his trusty pizza delivery wagon all the way from Wisconsin. The five-speed Subaru is fairly stock aside from the hood pins, which are there because a slight fender-bender tweaked the hood latch, necessitating their installation. What do you do when you find out five days before the event that your Challenge car has a bad transmission? If you’re Team Saab Story, you hop on Craigslist and buy a completely different Saab 9000 for the competition. They picked up this example with horrible electrical gremlins that turned out to be just a simple wiring issue at the taillights. Once the car was running normally, they swapped over the tires from their original Challenge car, filled a bad engine mount with 3M 5200 Quick Cure Marine sealant, and hit the road. 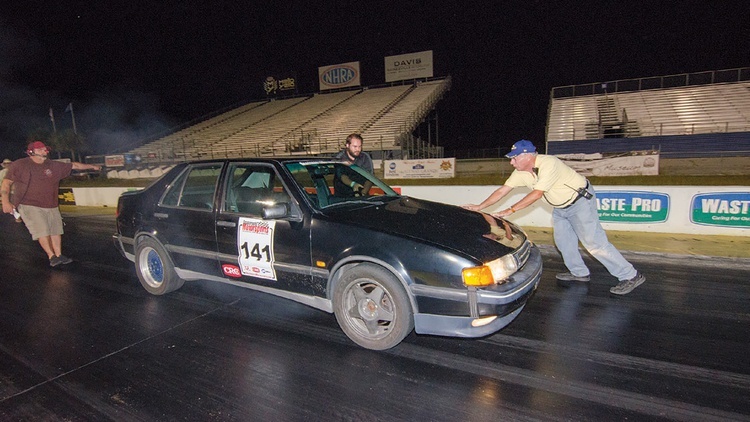 They almost got away with it, too–until their first drag launch sent drivetrain parts careening down the track and left the Saab motionless on the sidelines. Sometimes you just need to cry.